Local boat people weigh in with pro tips for smooth sailing into winter. 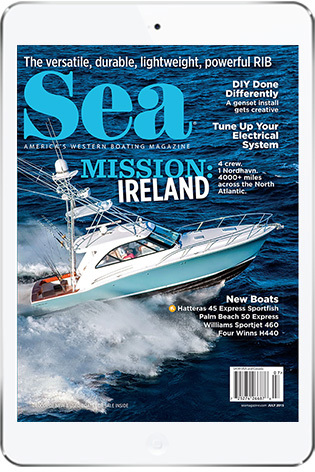 Winter in California isn’t all that different from spring or autumn, but it is the time of year that boat owners tend to use their vessel less frequently, and potentially care for it less frequently. And while a fullscale winterization isn’t usually required in the Golden State, owners can take measures that ensure their boat is healthy and happy during long periods of inactivity. 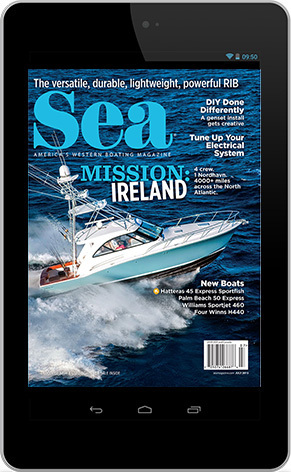 To help boaters avoid any wintertime accidents or incidents, we asked a few California marina and harbor personnel about their tips for boat owners who keep their vessel in the water year round. 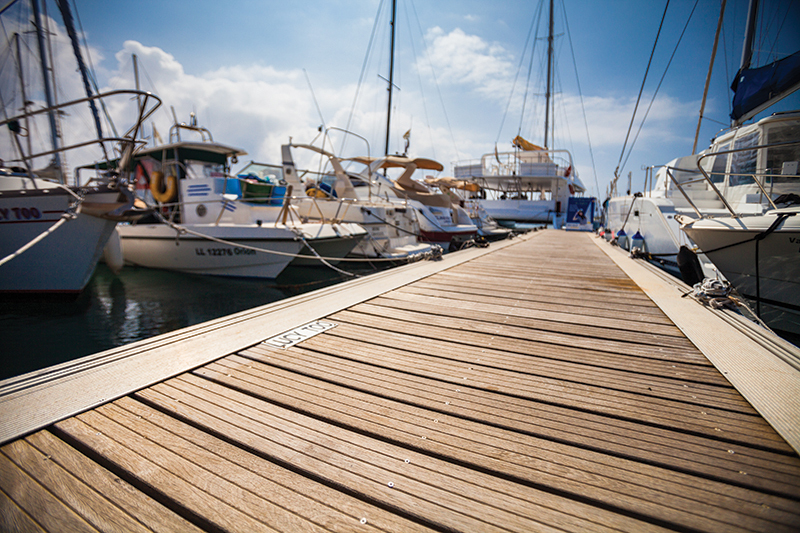 Dock lines that are of proper length and diameter are very important during the winter months, according to Henry Rivas, the executive director of California Yacht Marinas. 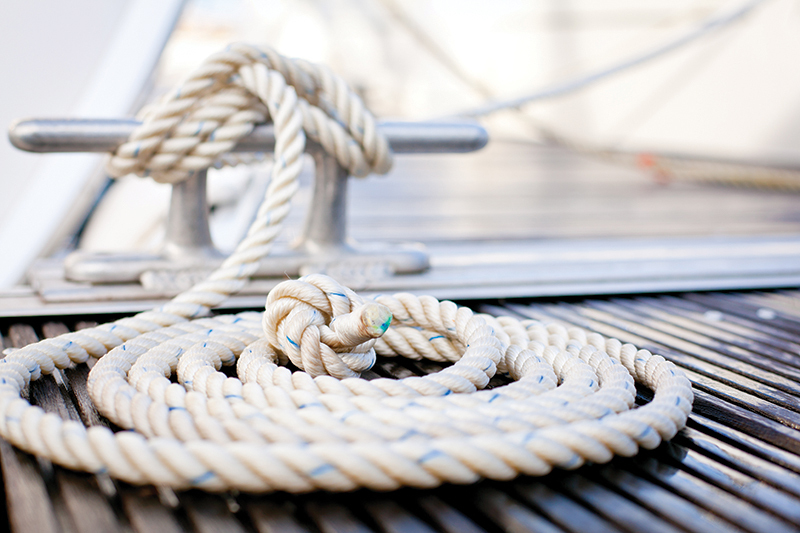 Boat owners definitely need to ensure they have the proper number of lines and that they are in serviceable condition. Rivas added that it is important to inspect the cleats, both on the vessel and the docks, because the forces created by a storm can pull out a loose cleat. All required docklines should be present and in use, and boat owners need to learn how to properly secure lines to a cleat. There is more than one proper way to secure a line, so it’s smart to learn of the advantages and disadvantages to the different cleat hitches, locking vs. unlocking cleat hitch, for example. It’s a good idea to secure all the hatches, portholes, etc., and give them all a thorough washdown. Shoot water at all the seams of the hatches. One thing that seems obvious but is often overlooked is to make sure the boat’s bilge pumps work, according to Latisha Marshall, the harbormaster at Santa Cruz Harbor. Have a secondary dewatering system aboard, Rivas recommended, such as a foot pump, in case a bilge pump fails. And no matter the bilge pump situation, Marshall wanted owners to remember that smaller vessels may have to be dewatered after heavy rains. To combat odors and moisture during the wetter months, Marshall said boat owners should invest in a dehumidifier and use it regularly. Sounding like a parent about to turn his child over to a babysitter, Rivas recommends boaters always have easy access to emergency phone numbers: harbor patrol, U.S. Coast Guard, police, fire, the marina office and some of their fellow boaters. 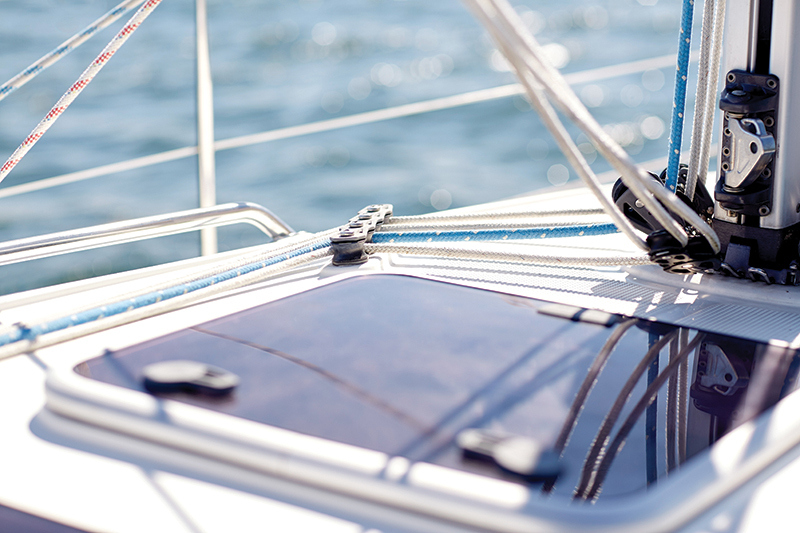 Sailboat owners have additional responsibilities, including properly securing all the sails. A sail that unfurls during high winds will ruin the sail, make a lot of noise and disturb neighbors; plus, they can be dangerous to safely correct under storm conditions. Secure all halyards/ lines as well. Rivas wants everyone to remember it is very inconsiderate to neighbors to have them clanging up against a mast during strong winds. Last, secure all loose items on deck, Marshall said, so it doesn’t get blown around or fall inside as vessel is moved by the storm. 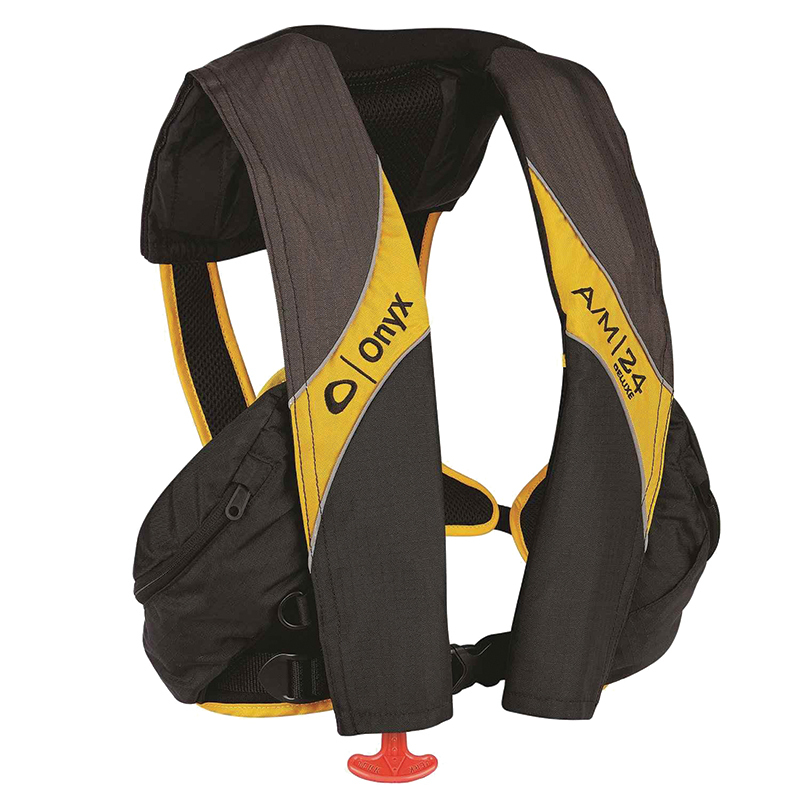 The folks at BoatUS recommend boat owners keep their onboard inflatable life jackets up to the task at all times. • Inspect jacket for rips, tears, holes, broken buckles, etc. • Orally inflate the life jacket to capacity. • Inspect the CO2 trigger and cartridge to ensure it hasn’t been discharged; inspect the inflator for corrosion and serviceability. If you have an automatic unit, inspect/replace the dissolving “pill,” if it’s equipped with one. • Leave the jacket inflated for 24 hours to ensure it holds air. You can also immerse the jacket to check for leaks in the jacket or the manual inflation tube. • If everything looks good, repack the jacket for use on the water. Wintertime means prime migrating time for whales as they travel from Alaska to Mexico for birthing and mating. Keep an eye out and make sure to keep a safe distance if you are boating and encounter a whale. Elephant seals are also mating in California during January and February, which are the best months to see them at Ano Nuevo State Park near Santa Cruz and Piedras Blancas Lighthouse in San Luis Obispo. 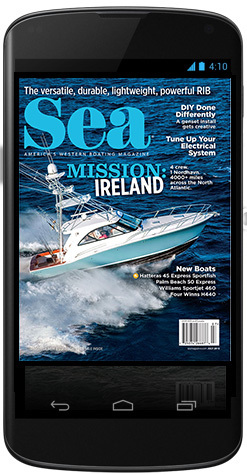 Check out the Regional Calendar in this section for more winter activity ideas for boaters.